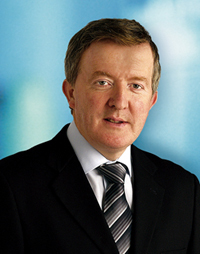 The Personal Insolvency Bill will be published by June, Minister of State for Small Business John Perry told the Dáil yesterday. Mr Perry was speaking during a debate on a Fianna Fáil motion seeking to regulate the debt advice industry. Introducing the Private Members’ Bill, Deputy Sean Fleming said the proposed legislation would require operators to declare their fees upfront and would compel the Central Bank to produce a code of practice within six months of its enactment. Minister Perry indicated that the Government would not oppose the Fianna Fáil bill as it supported a number of its provisions “in principle”. He also said the Central Bank had written to a number of debt management firms last year informing them that they were required to provide additional protection for client funds. Labour’s Ciara Conway said the issue had been brought to her attention during her time working with Money Advice & Budgeting Service (MABS). She said that when you typed MABS into Google, it was unregulated agencies that popped up. Deputy Conway said anecdotally that people who had reinvented themselves as debt management agents were people who originally had got people into trouble. They were, she said, former mortgage brokers who had once suggested to clients that they rent rooms in their homes in order to get larger loans. Sinn Féin’s Pearse Doherty referred to previous calls from the Law Reform Commission for regulation of the sector. Being regulated would undermine the profit model of such agencies, he said, adding there was huge money in the debt management game with universally high upfront fees of up to €750 and ongoing monthly management fees. He said the risk of these companies shutting up shop with customers’ money lost was something that had already come to pass. The debate on the bill has concluded for the night and it will be discussed again today.